Melissa Rauch is an American film and television actress. Check out this biography to know about her birthday, childhood, family life, achievements, and fun facts about her. 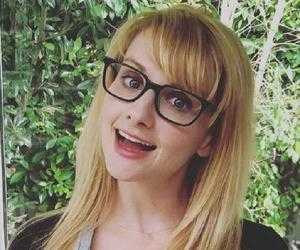 Melissa Ivy Rauch is an American film and television actress and comedian best known for portraying Dr. Bernadette Rostenkowski-Wolowitz in CBS’ immensely successful sitcom, ‘The Big Bang Theory’. 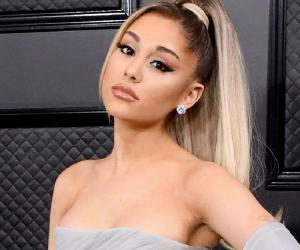 She has also played the recurring character of Summer in HBO’s dark fantasy ‘True Blood’ and lent her voice to Harley Quinn in the direct-to-video animated film, ‘Batman and Harley Quinn’. A native of New Jersey, Rauch first became interested in acting when she was a student at Marlboro High School. At the beginning of her career in the entertainment industry, she worked as a regular contributor to VH1's ‘Best Week Ever’ television show. She made her acting debut in 2006 in the romance drama film ‘Delirious’. Rauch debuted on the small screen two years later, playing a recurring character in NBC’s comedy series ‘Kath & Kim’. In 2009, she appeared in ‘The Big Bang Theory’ for the first time. She originally had a recurring role but later was promoted to the main cast of the show. She made her small-screen debut with the recurring role of Tina in six episodes of the first and the only season of the short-lived sitcom ‘Kath & Kim’ in 2008-09. In 2009, she wrote, produced, directed, and starred in the short film ‘The Condom Killer’. In the following year, she co-wrote yet another short, ‘Partially Stalked Love’. According to Rauch, she drew inspiration for the voice of Bernadette from her real-life parents!